September 1, 1715 - The "Sun King" (King Louis XIV of France) died. He had ruled since the age of five and was succeeded by his 5-year-old great-grandson Louis XV. September 1, 1939 - At 5.30 a.m., Hitler's armies invaded Poland starting World War II in Europe. September 1, 1969 - Military officers overthrew the Libyan government. The Libyan Arab Republic was then proclaimed under Colonel Muammar Gaddafi. September 1, 1983 - Korean Air Lines Flight 007 was shot down by a Russian fighter jet while on route from New York to Seoul, killing all 269 persons on board. The Boeing 747 reportedly strayed 100 miles off course over secret Soviet Russian military installations on the Kamchatka Peninsula and Sakhalin Island. It crashed in the Sea of Japan. Birthday - Tarzan of the Apes creator Edgar Rice Burroughs (1875-1950) was born in Chicago. Before becoming a novelist, he was as a correspondent for the Los Angeles Times. Birthday - Boxing champ Rocky Marciano (1923-1969) was born in Brockton, Massachusetts (as Rocco Francis Marchegiano). He fought Jersey Joe Walcott for the heavyweight title on September 23, 1952, and knocked him out. In 1956, he retired as the only undefeated heavyweight champion. He died in a plane crash in 1969. September 2, 31 B.C. - Roman legions under Augustus Caesar defeated Mark Anthony's naval force at Actium. September 2, 1666 - The Great Fire of London began in a bakery in Pudding Lane near the Tower. Over the next three days more than 13,000 houses were destroyed, although only six lives were believed lost. September 2, 1752 - The British ended their use of the Julian calendar, switching instead to the Gregorian calendar, resulting in a major adjustment as Wednesday, September 2, was followed by Thursday, September 14. The correction resulted in rioting by people who felt cheated and demanded the missing eleven days back. September 2, 1789 - The third Presidential cabinet department, the U.S. Treasury, was established by Congress. 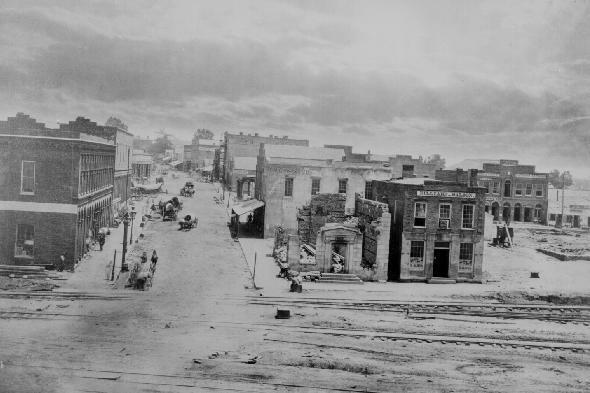 September 2, 1864 - During the American Civil War, Atlanta was captured by Sherman's Army. 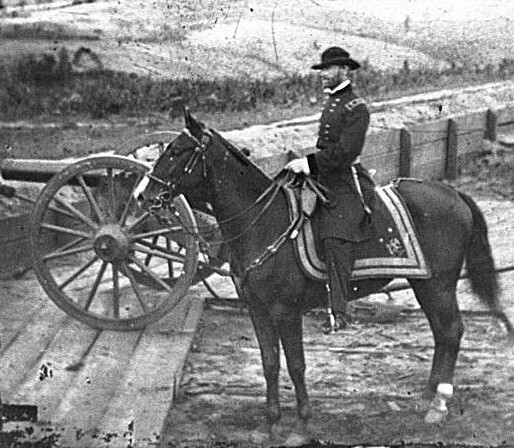 "Atlanta is ours, and fairly won," General William T. Sherman telegraphed President Lincoln. September 2, 1870 - Napoleon III surrendered to the Prussians during the Battle of Sedan, resulting in the fall of the Second French Empire. September 2, 1923 - The first elections were held in the Irish Free State after achieving independence from Britain. September 2, 1930 - French aviators Dieudonne Coste and Maurice Bellonte made the first non-stop flight from Europe to the USA. 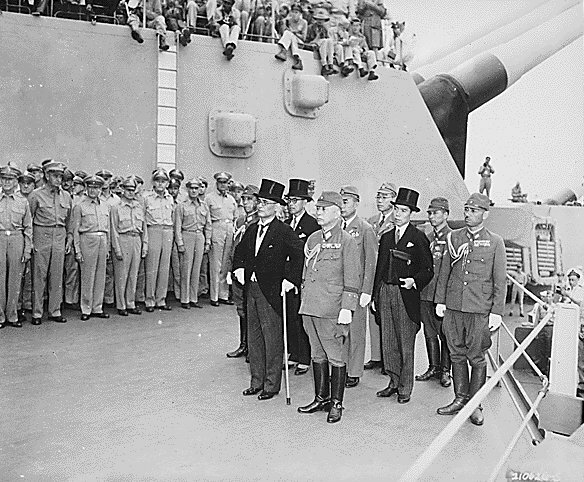 September 2, 1945 - President Harry Truman declared V-J Day (Victory over Japan Day) commemorating the formal Japanese surrender to the Allies aboard the USS Missouri in Tokyo Bay. September 2, 1945 - Ho Chi Minh proclaimed the independence of Vietnam and the establishment of the Democratic Republic of Vietnam. September 2, 1962 - Soviet Russia agreed to send arms to Cuba, leading to the October Missile Crisis after the shipments were discovered by the U.S.
September 2, 1963 - Alabama Governor George Wallace forcibly halted public school integration by encircling Tuskegee High School with state troopers. 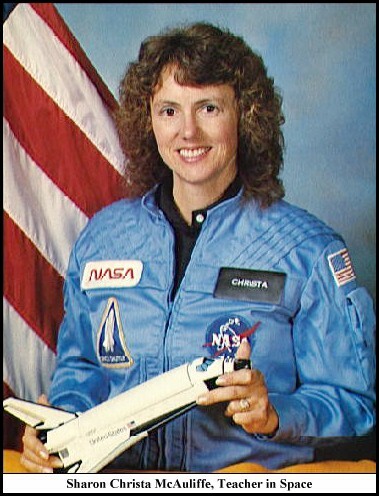 Birthday - Christa McAuliffe (1948-1986) was born in Boston (as Sharon Christa Corrigan). On January 28, 1986, the 37-year-old high-school teacher, the first "ordinary citizen" in space, died with six crew members in the Space Shuttle Challenger explosion. September 3, 1783 - The Treaty of Paris was signed by John Adams, Ben Franklin and John Jay, formally ending the American Revolutionary War between Britain and the United States. September 3, 1833 - The New York Sun newspaper first appeared, marking the beginning of the 'penny press,' inexpensive newspapers sold on sidewalks by newspaper boys. The paper focused on human interest stories and sensationalism and by 1836 was the largest seller in America with a circulation of 30,000. 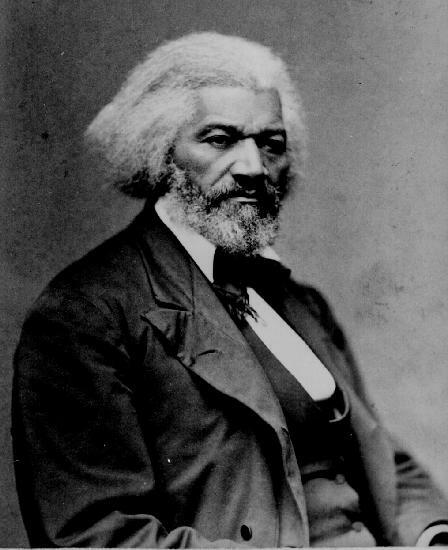 September 3, 1838 - Anti-slavery leader Frederick Douglass began his escape from slavery by boarding a train in Baltimore dressed as a sailor. He rode to Wilmington, Delaware, where he caught a steamboat to the free city of Philadelphia, then took a train to New York City where he came under the protection of the Underground Railway network. September 3, 1939 - Great Britain and France declared war on Nazi Germany after its invasion of Poland two days earlier. 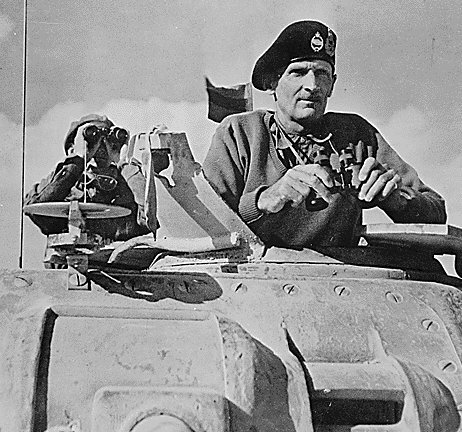 September 3, 1943 - Italy signed an armistice with the Allies during World War II in Europe as the British Eighth Army, commanded by General Bernard Montgomery, invaded the Italian mainland from Sicily. September 4, 1609 - The island of Manhattan was discovered by navigator Henry Hudson. September 4, 1781 - Los Angeles was founded by the Spanish Governor of California, Felipe de Neve, near the site of the Native American village of Yang-na. The original name was El Pueblo de la Reina de Los Angeles (The Town of the Queen of the Angels). 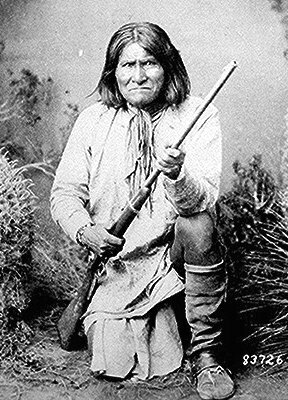 September 4, 1886 - The last major U.S.-Indian war came to an end as Geronimo was captured. He died of natural causes in 1909 at Fort Sill, Oklahoma. Birthday - Austrian composer Anton Bruckner (1824-1896) was born in Ansfelden, Austria. Best known for his monumental ten symphonies. September 5, 1774 - The First Continental Congress assembled in Philadelphia with 56 delegates, representing every colony, except Georgia. Attendants included Patrick Henry, George Washington, Sam Adams and John Hancock. September 5-6, 1972 - Eleven members of the Israeli Olympic Team were killed during an attack on the Olympic Village in Munich by members of the Black September faction of the Palestinian Liberation Army. Israeli jets then bombed Palestinian positions in Lebanon and Syria in retaliation on September 8, 1972. 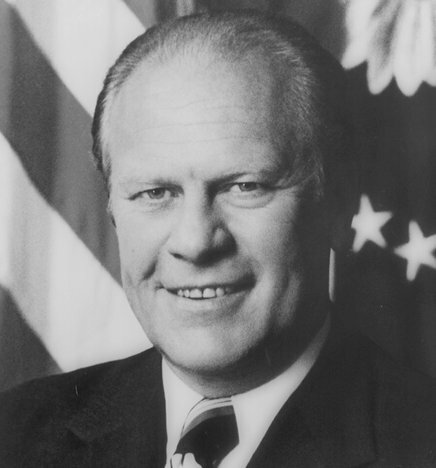 September 5, 1975 - The first of two September assassination attempts on President Gerald Ford occurred as a woman pointed a gun at the President in Sacramento, California. Two weeks later, a second attempt occurred as another woman fired a shot at Ford in San Francisco. Ford was not harmed in either incident. 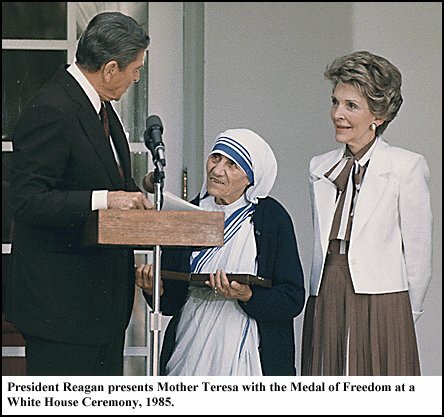 September 5, 1997 - Mother Teresa died in Calcutta at age 87, after a life of good works spent aiding the sick and poor in India through her Missionaries of Charity order. Birthday - Wild West legend Jesse James (1847-1882) was born in Centerville, Missouri. Following the American Civil War, Jesse and his brother Frank formed a group of outlaws, robbing banks, trains, stagecoaches and stores. In 1882, after the governor of Missouri offered a $10,000 reward for their capture dead or alive, a member of the gang shot 34-year-old Jesse in the back of the head and claimed the reward. Birthday - Film producer Darryl F. Zanuck (1902-1979) was born in Wahoo, Nebraska. He co-founded 20th Century Studios, which later merged with Fox. His films included the first sound picture The Jazz Singer, and also The Snake Pit and The Grapes of Wrath. September 6, 1991 - Leningrad was renamed Saint Petersburg by Russian legislators following the collapse of the Soviet Union. Russia's second largest city had been known as Leningrad for 67 years in honor of Vladimir Lenin, founder of the Soviet Union. Birthday - Marquis de Lafayette (1757-1834) was born in Chavaniac, France (as Marie-Joseph-Paul-Yves-Roch-Gilbert du Motier). 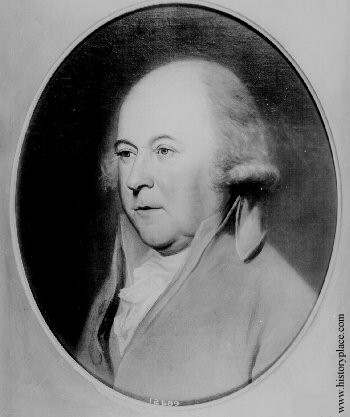 He came to America in 1777 to volunteer in the American Revolution, beginning a long friendship with George Washington. He later persuaded Louis XVI of France to send a 6,000-man force to assist the Americans. 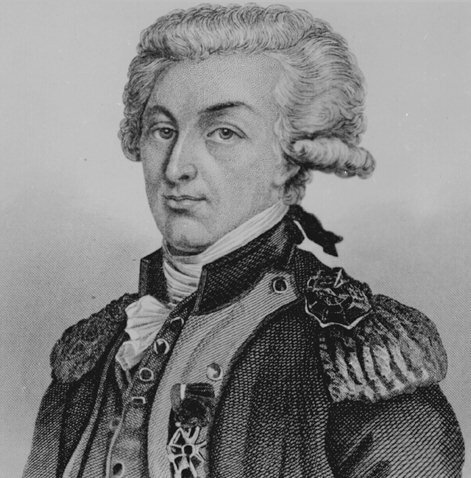 Lafayette was given command of an army in Virginia and was instrumental in forcing Cornwallis to surrender at Yorktown, leading to the American victory. Birthday - Pioneering American social worker Jane Addams (1860-1935) was born in Cedarville, Illinois. In 1883, she toured the great European cities to study famous historic sites but was deeply moved by the hunger and misery she found among the common people. She then founded Hull House in Chicago to serve the sick and poor and managed the settlement for the next 46 years. September 7, 1822 - Brazil declared its independence from Portugal after 322 years as a colony. September 7, 1940 - The German Luftwaffe began its Blitz bombing campaign against London during World War II. September 7, 1986 - Bishop Desmond Tutu became Archbishop of Cape Town, South Africa, the first black head of South Africa's Anglicans. September 7, 1994 - The U.S. Army closed its headquarters in Berlin, ending the American military presence in the once-divided city after nearly half a century. September 7, 1999 - For the first time since World War II, Germany's parliament, the Bundestag, returned to Berlin, former capital of Imperial Germany as well as Hitler's Reich. The Bundestag held its first session in the fully restored Reichstag building, attended by parliamentarians from around the world. The session also marked the 50th anniversary of the Bundestag's first post-war session, held in Bonn, the former capital of West Germany. Birthday - Queen Elizabeth I (1533-1603) was born in Greenwich Palace. She was the daughter of King Henry VIII and Anne Boleyn. She ascended the throne in 1558 at age 25. During her reign, Britain became a world power by defeating the Spanish Armada. The Anglican Church was also fully established. September 8, 1565 - The first Catholic settlement in America was founded by Spaniard Don Pedro Menendez de Aviles at St. Augustine, Florida. September 8, 1883 - The Northern Pacific Railroad across the U.S. was completed. September 8, 1900 - A hurricane with winds of 120 mph struck Galveston, Texas, killing over 8,000 persons, making it the worst natural disaster in U.S. history. The hurricane and tidal wave that followed destroyed over 2,500 buildings. September 8, 1935 - Louisiana Senator Huey P. Long was shot and mortally wounded while attending a session of the state House of Representatives in Baton Rouge, Louisiana. He died two days later. September 8, 1941 - The German Army began its blockade of Leningrad, lasting until January 1944, resulting in the deaths of almost one million Russian civilians. September 8, 1974 - A month after resigning the presidency in disgrace as a result of the Watergate scandal, Richard Nixon was granted a full pardon by President Gerald R. Ford for all offenses committed while in office. September 9, 1776 - The United States came into existence as the Continental Congress changed the name of the new American nation from the United Colonies. September 9, 1943 - The invasion of Salerno began during World War II in Europe as Allied forces under General Mark Clark made amphibious landings along the western coast of Italy near Naples. Initial gains by the Allies met strong resistance from German forces. September 9, 1948 - Following the withdrawal of Soviet forces from North Korea, the Democratic People's Republic of Korea was proclaimed with Pyongyang as its capital. September 9, 1976 - Longtime leader of Communist China, Chairman Mao Zedong, died. As a Chinese revolutionary soldier and statesman, he had proclaimed the People's Republic of China in 1949 in Beijing. September 9, 1993 - Israel and the PLO (Palestine Liberation Organization) agreed to recognize each other, paving the way for a possible peaceful end to the hundred year old conflict between Arabs and Jews in the Mideast. September 10, 1898 - Elizabeth, Empress of Austria-Hungary, was assassinated in Geneva by an anarchist. September 10, 1919 - Following the defeat of Germany in World War I, the victorious Allies signed the Treaty of Saint-Germain ceding parts of pre-war German-Austria to Italy and Czechoslovakia. Austria was also forbidden to unite with Germany. September 10, 1943 - Hitler's troops occupied Rome and took over the protection of Vatican City. September 11, 2001 - The worst terrorist attack in U.S. history occurred as four large passenger jets were hijacked then crashed, killing nearly 3,000 persons. Four separate teams of Mideast terrorists, operating from inside the U.S., boarded the morning flights posing as passengers, then forcibly commandeered the aircraft. Two fully-fueled jumbo jets, American Airlines Flight 11 carrying 92 people and United Airlines Flight 175 carrying 65 people, had departed Boston for Los Angeles. Both jets were diverted by the hijackers to New York City where they were piloted into the twin towers of the World Trade Center. The impact and subsequent fire caused both 110-story towers to collapse, killing 2,752 persons including hundreds of rescue workers and people employed in the towers. In addition, United Airlines Flight 93, which had departed Newark for San Francisco, and American Airlines Flight 77, which had departed Dulles (Virginia) for Los Angeles, were hijacked. Flight 77 with 64 people on board was diverted to Washington, D.C., then piloted into the Pentagon building, killing everyone on board and 125 military personnel inside the building. Flight 93 with 44 people on board was also diverted toward Washington but crashed into a field in Pennsylvania after passengers attempted to overpower the terrorists on board. Birthday - Ferdinand Marcos (1917-1989) was born in Sarrat, Philippines. He ruled the Philippines from 1966, imposing an authoritarian regime until he was ousted in 1986. September 12, 1943 - Former Italian Dictator Benito Mussolini was rescued by German paratroopers on orders from Adolf Hitler. Mussolini was being held prisoner by Italian authorities following the collapse of his Fascist regime. September 12, 1953 - John F. Kennedy, 36, married Jacqueline Bouvier, 24, in a ceremony before 750 invited guests at St. Mary's Church in Newport, Rhode Island, conducted by Archbishop Richard Cushing of Boston. 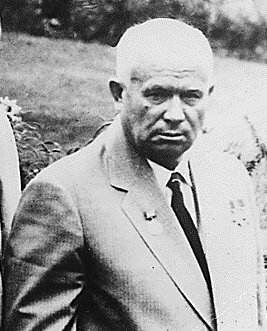 September 12, 1953 - Nikita Khrushchev was elected First Secretary of the Central Committee of the Communist Party of the USSR. September 12, 1974 - Haile Selassie, Emperor of Ethiopia, was deposed by an army coup after 44 years as ruler. September 12, 1977 - Steve Biko, the South African black civil rights leader, died while he was in police detention. September 12, 1990 - A treaty was signed by East and West Germany and the Allies of World War II allowing for the restoration of sovereignty to a re-unified Germany. Birthday - African American Olympic athlete Jesse Owens (1913-1980) was born in Oakville, Alabama (as James Cleveland Owens). He won four medals in track and field at the 1936 Olympic Games in Berlin, defeating Nazi athletes and disappointing Nazi leader Adolf Hitler. September 13, 1788 - The U.S. Congress chose New York as the Federal capital of the new American government. 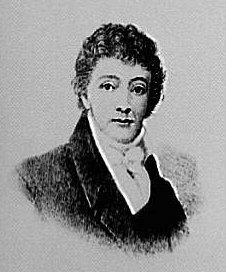 September 13, 1814 - The Battle of Fort Henry in Baltimore Harbor occurred, observed by Francis Scott Key aboard a ship. He watched the British attack overnight and at dawn saw the American flag still flying over the fort, inspiring him to write the verses which were later coupled with the tune of a popular drinking song and became the U.S. National Anthem in 1931. September 13, 1971 - State police and National Guardsmen stormed Attica prison in New York State ending a five-day prisoners' revolt. Thirty one prisoners and 11 guards were killed. Birthday - American Army physician Walter Reed (1851-1902) was born in Gloucester County, Virginia. Best known for his Yellow Fever research, he served as an army surgeon for more than 20 years. 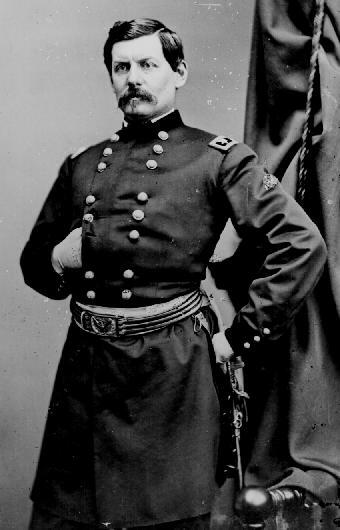 The U.S. Army's general hospital in Washington, D.C., is named in his honor. 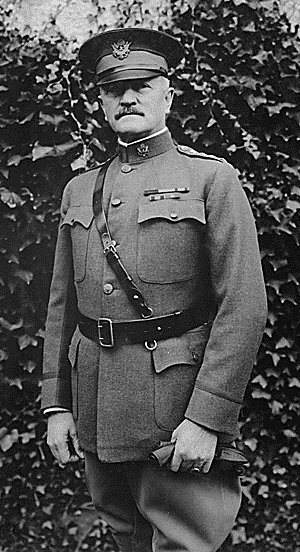 Birthday - Army General John J. Pershing (1860-1948) was born in Laclede, Missouri. He commanded the American Expeditionary Force (AEF) during World War I and oversaw the Meuse-Argonne operation that helped bring about the Armistice of November 11, 1918. September 14, 1741 - Composer George Frederick Handel finished Messiah after working on it nonstop for 23 days. September 14, 1812 - Napoleon and his troops first entered Moscow as the retreating Russians set the city on fire. Napoleon found it was impossible to stay through the winter in the ruined city. He then began a retreat from Moscow which became one of the great disasters of military history. Fewer than 20,000 of the original 500,000 men with him survived the Russian campaign. 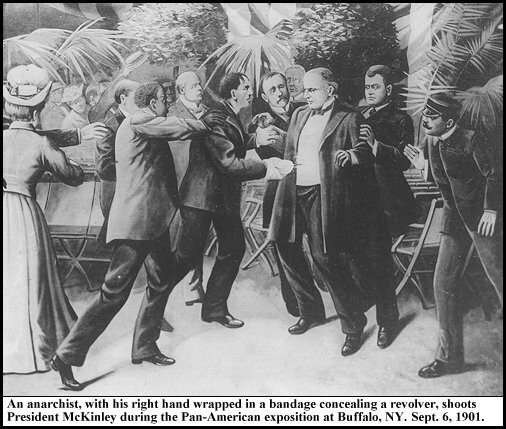 September 14, 1901 - Eight days after being shot, President William McKinley died from wounds suffered during an assassination attempt in Buffalo, New York. He was succeeded by Theodore Roosevelt. September 14, 1927 - In Nice, France, famed ballet dancer Isadora Duncan was killed in a freak accident as the long scarf she was wearing became caught in the moving wheel of the car in which she was riding, strangling her. September 14, 1930 - The Nazi Party became the second largest party in Germany following a stunning election triumph by Adolf Hitler. September 14, 1960 - The Organization of Petroleum Exporting Countries (OPEC) was formed by representatives of oil-producing countries meeting in Baghdad. September 14, 1975 - Elizabeth Ann Seton became the first American saint. September 14, 1982 - Princess Grace of Monaco died following an accident in which her car plunged off a mountain road in Monte Carlo. Her daughter Stephanie, also in the car, survived and was treated for shock and bruises. Princess Grace (Grace Kelly) was a Hollywood actress who met Prince Rainier III of Monaco during filming of the Hitchcock film To Catch a Thief. She then gave up a successful acting career and married him in 1956. 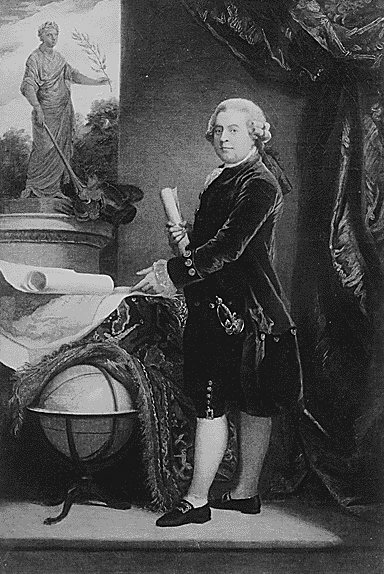 September 15, 1776 - British forces under General William Howe captured New York during the American Revolution. September 15, 1916 - Tanks were first used in combat, during the Allied offensive at the Battle of the Somme, in World War I.
September 15, 1935 - Nazis enacted the Nuremburg Laws depriving German Jews of their rights of citizenship. September 15, 1940 - The height of the Battle of Britain occurred as massive German air raids took place against London, Southampton, Bristol, Cardiff, Liverpool and Manchester. The British claimed 185 German planes were shot down. September 15, 1944 - The first entry of American troops into Hitler's Germany occurred as elements of the U.S. 7th and 5th Corps reached the southwestern frontier of Germany. Birthday - American novelist, historian and social critic, James Fenimore Cooper (1789-1851) was born in Burlington, New Jersey. Best known for The Last of the Mohicans. 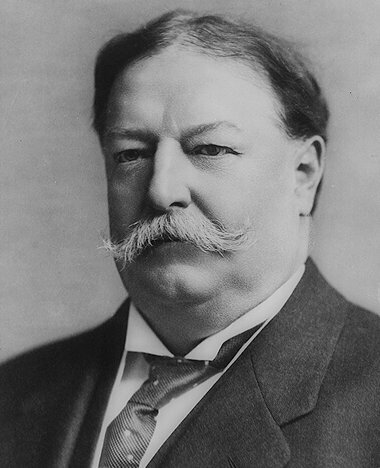 Birthday - William Howard Taft (1857-1930) the 27th U.S. President was born in Cincinnati, Ohio. 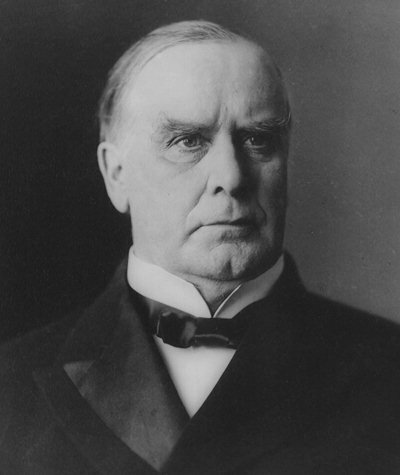 He served as President from 1909-1913, then became a law professor at Yale University until his appointment as Chief Justice of the U.S. Supreme Court in 1921. Birthday - British mystery author Agatha Christie (1890-1976) was born in Torquay, England. She wrote nearly a hundred books including mysteries, dramas, poetry and nonfiction. September 16, 1620 - The Mayflower ship departed from England, bound for America with 102 passengers and a small crew. The ship weathered dangerous Atlantic storms and reached Provincetown, Massachusetts on November 21st. The Pilgrims disembarked at Plymouth on December 26th. September 16, 1810 - Mexico's break from Spain began in the town of Dolores Hidalgo as Father Miguel Hidalgo y Costilla rang his church's bells and exhorted local Indians to "recover from the hated Spaniards the land stolen from your forefathers..."
September 16, 1908 - General Motors was founded by entrepreneur William Crapo "Billy" Durant in Flint, Michigan. September 16, 1976 - The Episcopalian Church in the U.S. approved the ordination of women priests and bishops. September 16, 1982 - Beginning of a two day massacre in Palestinian refugee camps in West Beirut as Christian militiamen (the Phalangists) entered Sabra and Shatila and began shooting hundreds of Palestinians, including elderly men, women and children. September 17, 1787 - At the Constitutional Convention in Philadelphia, delegates from twelve states voted unanimously to approve the proposed U.S. Constitution. 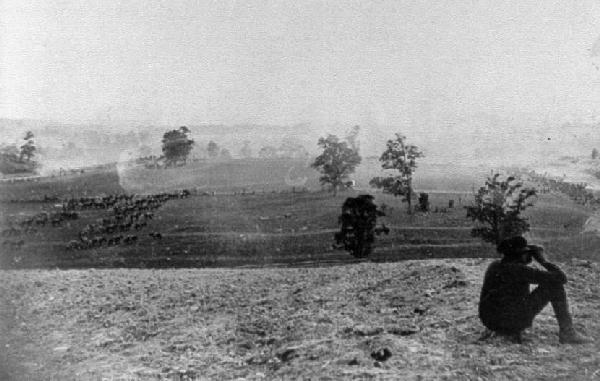 September 17, 1862 - The bloodiest day in U.S. military history occurred as General Robert E. Lee and the Confederate armies were stopped at Antietam in Maryland by General George B. McClellan and numerically superior Union forces. By nightfall 26,000 men were dead, wounded, or missing. September 17, 1908 - The first fatality involving powered flight occurred as a biplane piloted by Orville Wright fell from a height of 75 feet, killing Lt. Thomas E. Selfridge, his 26-year-old passenger. A crowd of nearly 2,000 spectators at Fort Myer, Virginia, observed the crash of the plane which was being tested for possible military use. Wright himself was seriously injured. September 17, 1939 - Soviet Russians invaded Eastern Poland, meeting little resistance and taking over 200,000 Poles prisoner. This was done in accordance with the Nazi-Soviet Pact in which the Nazis and Soviets had predetermined how they would divide up Poland. Birthday - Supreme Court Justice Warren E. Burger (1907-1995) was born in St. Paul, Minnesota. 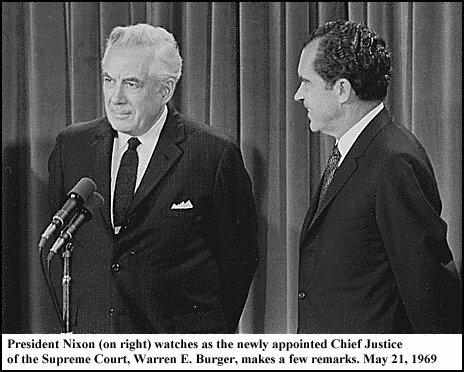 Appointed by President Nixon, he had the longest tenure (1969-86) of any Chief Justice in the 20th Century. In 1973, he voted in the majority on Roe vs. Wade which upheld a woman's right to an abortion. In 1974, he voted to force Nixon to surrender White House audio tapes to the Watergate special prosecutor. September 18, 1810 - Chile declared its independence from Spain after 269 years as a colony. September 18, 1947 - The U.S. Air Force was established as a separate military service. Birthday - Movie actress Greta Garbo (1905-1990) was born in Stockholm, Sweden (as Greta Lovisa Gustafsson). She retired and became a recluse after making 27 films, spanning the silent era through the beginning of sound movies. September 19, 1676 - Jamestown, Virginia, was attacked and burned during a rebellion led by Nathaniel Bacon against the Royal Governor, Sir William Berkeley. September 19, 1893 - New Zealand became the first country to grant women the right to vote. September 19-20, 1985 - Earthquakes in Mexico City killed an estimated 5,000 to 20,000 persons and left more than 100,000 homeless, causing $4 billion in damage. The quakes registered 8.1 and 7.5 on the Richter scale. September 19, 1994 - U.S. troops invaded Haiti, with the stated goal of restoring democracy. Birthday - British author William Golding (1911-1993) was born in Cornwall, England. Best known for Lord of the Flies, he received a Nobel Prize in 1983. September 20, 1873 - The New York Stock Exchange was forced to close for the first time in its history as a result of a banking crisis during the financial Panic of 1873. September 20, 1973 - The much-hyped "Battle of the Sexes" took place in the Houston Astrodome as tennis player and women's rights activist, Billie Jean King, defeated self-styled male chauvinist Bobby Riggs in three straight sets. Riggs, a retired tennis champion, had been critical of the quality of women's tennis. September 20, 1989 - F.W. De Klerk was sworn in as president of South Africa. He began an era of reform aimed at ending apartheid and was succeeded by Nelson Mandela. September 21, 1949 - The People's Republic of China was proclaimed by its Communist leaders. September 22, 1776 - During the American Revolution, Nathan Hale was executed without a trial after he was caught spying on British troops on Long Island, his last words, "I only regret that I have but one life to lose for my country." September 22, 1828 - Shaka, chief of the Zulus and founder of the Zulu empire, was killed by his two half-brothers. September 22, 1862 - President Abraham Lincoln issued a preliminary Emancipation Proclamation freeing the slaves in territories held by Confederates as of January 1, 1863. 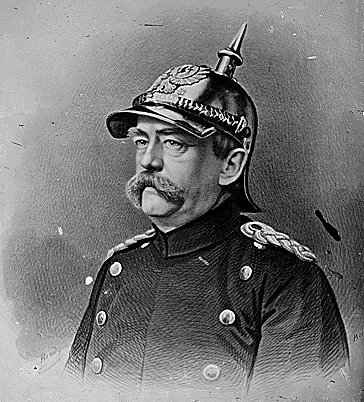 September 22, 1862 - Otto von Bismarck became premier of Prussia. He forged a loose confederation of German states into a powerful nation, with Wilhelm I becoming Kaiser of the new German Empire. September 22, 1996 - Australian Bob Dent, a cancer victim, became the first person to commit legally assisted suicide, via a lethal injection, under a voluntary euthanasia law. 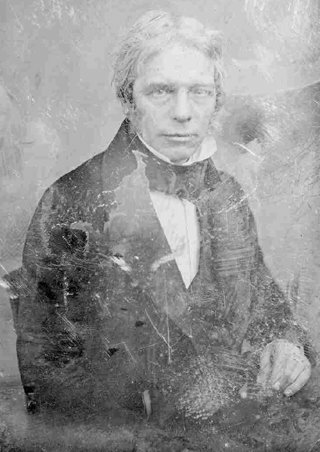 Birthday - British scientist Michael Faraday (1791-1867) was born in Surrey, England. 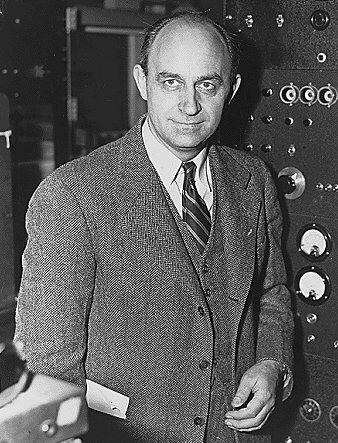 His discovery of electromagnetic induction proved that moving a magnet through a coil of wire produces a current, resulting in the development of electric generators. September 23rd - Autumn (Sept. 23-Dec. 21) begins in the Northern Hemisphere with the autumnal equinox, at 1:37 a.m. EDT. In the Southern Hemisphere today is the beginning of spring. September 23, 1952 - Vice-presidential candidate Richard Nixon delivered his Checkers Speech on television and radio to address accusations of financial misdeeds. September 23, 1991 - Armenia declared its independence from the Soviet Union. Birthday - American journalist and influential commentator, Walter Lippmann (1889-1974) was born in New York. "Without criticism and reliable and intelligent reporting, the government cannot govern," he once stated. Birthday - Friedrich von Paulus (1890-1957) was born in Breitenau, Germany. In 1942, Adolf Hitler chose Paulus, a desk officer, to lead the German 6th Army in an all-out attack against Stalingrad, deep inside Russia. Although his troops captured most of Stalingrad, they became trapped within the city. On January 31, 1943, the day Hitler made him a field marshal, Paulus surrendered to the Russians, marking the first big defeat of Hitler's armies. After the war, Paulus appeared as a witness for the Russian prosecution at the Nuremberg war crime trials. 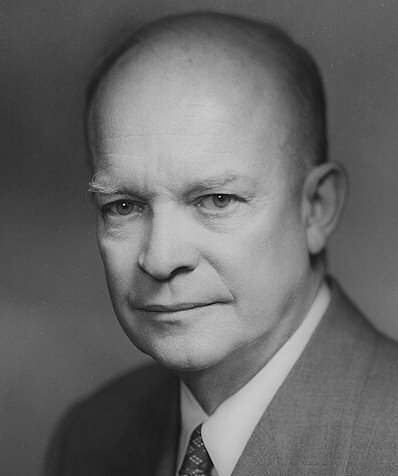 September 24, 1957 - President Dwight Eisenhower ordered the National Guard to enforce racial integration of schools in Little Rock, Arkansas. September 24, 1980 - War erupted between Iran and Iraq as Iraqi troops crossed the border and encircled Abadan, then set fire to the world's largest oil refinery. 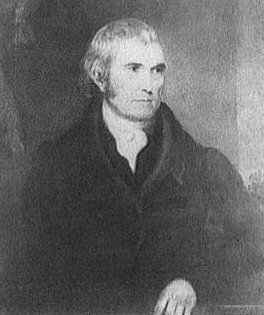 Birthday - John Marshall (1755-1835) was born in Germantown, Virginia. He was appointed by President John Adams to the position of Chief Justice of the U.S. Supreme Court in January 1801. He became known as "The Great Chief Justice," largely responsible for expanding the role of the Supreme Court through such cases as Marbury vs. Madison and McCulloch vs. Maryland. 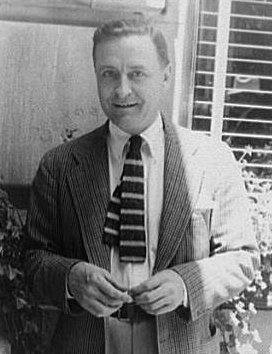 Birthday - American writer F. Scott Fitzgerald (1896-1940) was born in St. Paul, Minnesota (as Francis Scott Key Fitzgerald). Best known for This Side of Paradise, The Great Gatsby and Tender is the Night. Birthday - Puppeteer Jim Henson (1936-1990) was born in Greenville, Mississippi. He created the Muppets, including Kermit the Frog, and Bert and Ernie, entertaining and educating generations of children via the daily TV show Sesame Street. September 25, 1513 - Spanish explorer Vasco Nunez de Balboa first sighted the Pacific Ocean after crossing the Isthmus of Panama. September 25, 1690 - The first American newspaper was published. 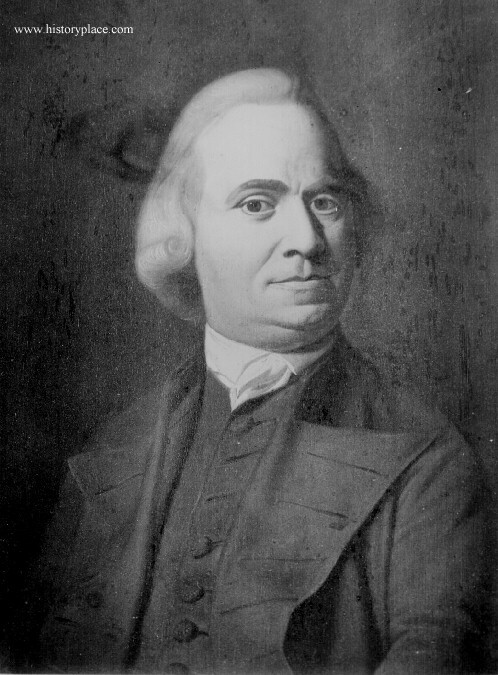 A single edition of Publick Occurrences Both Foreign and Domestick appeared in Boston, Massachusetts. However, British authorities considered the newspaper offensive and ordered its immediate suppression. September 25, 1789 - The first U.S. Congress proposed 12 Amendments to the Constitution, ten of which, comprising the Bill of Rights, were ratified. 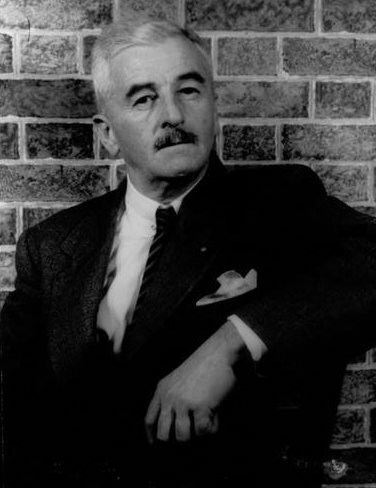 Birthday - American writer William Faulkner (1897-1962) was born in New Albany, Mississippi. Best known for The Sound and the Fury and The Reivers. Birthday - Russian composer Dmitri Shostakovich (1906-1975) was born in St. Petersburg, Russia. He witnessed the Russian Revolution and went on to become one of the greatest Soviet composers. 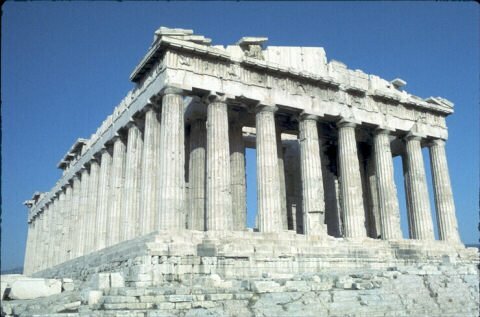 September 26, 1687 - The Acropolis in Athens was attacked by the Venetian army attempting to oust the Turks, resulting in heavy damage to the Parthenon. September 26, 1918 - The last major battle of World War I, the Battle of the Argonne, began as a combined force of French and Americans attacked the Germans along a 40-mile front. September 26, 1960 - The first-ever televised presidential debate occurred between presidential candidates John F. Kennedy and Richard M. Nixon. Many who watched were inclined to say Kennedy 'won' the debate, while those who listened only to the radio thought Nixon did better. 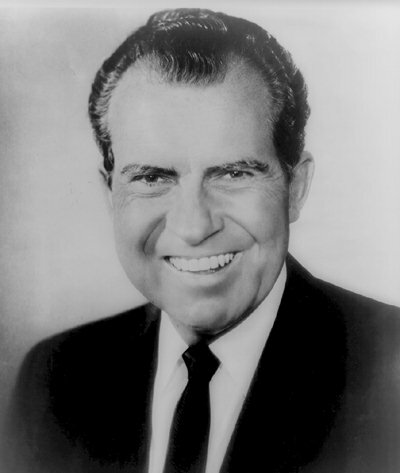 Nixon, who declined to use makeup, appeared somewhat haggard looking on TV in contrast to Kennedy. September 26, 1984 - Britain agreed to allow Hong Kong to revert to Chinese sovereignty in 1997. Birthday - American folk legend Johnny Appleseed (1774-1845) was born in Leominster, Massachusetts (as John Chapman). For 40 years, he traveled through Ohio, Indiana and into Illinois, planting orchards. He was a friend to wild animals and was regarded as a "great medicine man" by Native Americans. Birthday - Writer T.S. (Thomas Stearns) Eliot (1888-1965) was born in St. Louis, Missouri. He rejected conventional verse and language in favor of free expression. 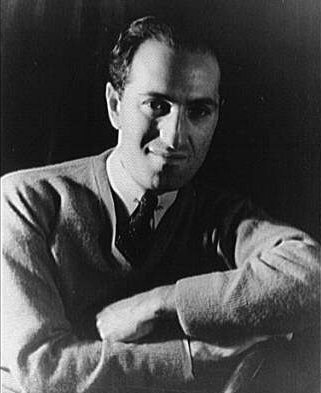 Birthday - Composer George Gershwin (1898-1937) was born in Brooklyn, New York. Along with his brother Ira, he created enduring songs including The Man I Love, Strike Up the Band, I Got Rhythm and the opera Porgy and Bess. September 27, 1964 - After a 10-month investigation, the Warren Commission Report was issued stating a lone gunman had been responsible for the assassination of President John F. Kennedy in Dallas on November 22, 1963. September 27, 1995 - The Israeli cabinet agreed to give Palestinians control of much of the West Bank which had been occupied by Israel for 28 years. 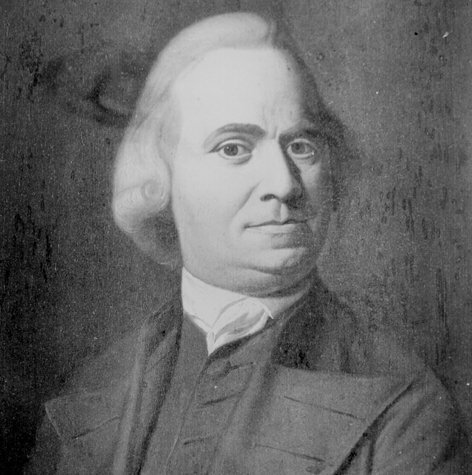 Birthday - American revolutionary leader Samuel Adams (1722-1803) was born in Boston, Massachusetts. 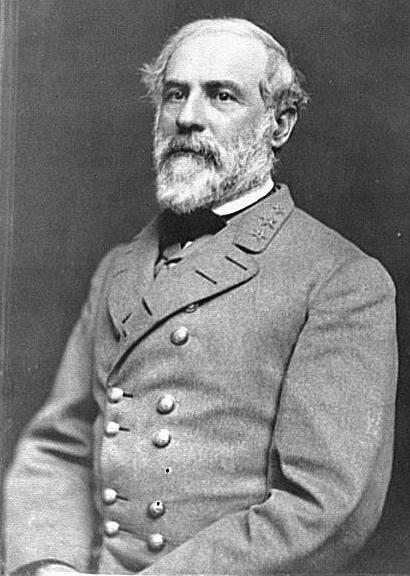 He was a passionate, vocal man who helped ignite the revolution and served as a delegate to the First and Second Continental Congresses. 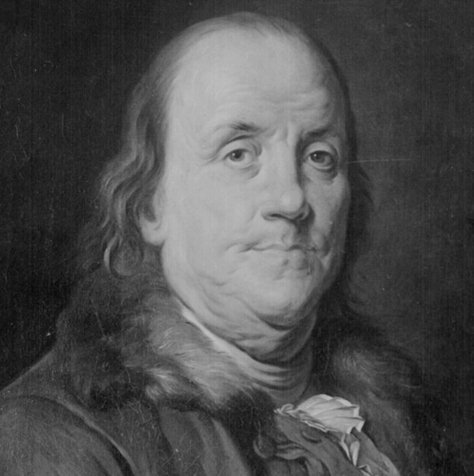 He was a signer of the Declaration of Independence and the Articles of Confederation. 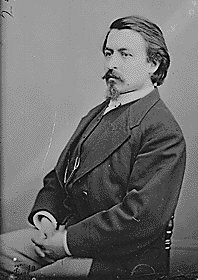 Birthday - American political cartoonist Thomas Nast (1840-1902) was born in Landau, Germany. 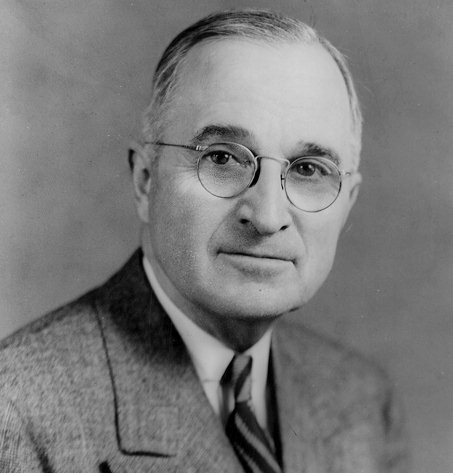 He originated the symbols for the two main U.S. political parties, the Democratic donkey and the Republican elephant. Nast was also instrumental in destroying the Tweed Ring, a group of corrupt politicians plundering the New York City treasury. September 28, 1066 - The Norman conquest of England began as Duke William of Normandy landed at Pevensey, Sussex. September 28, 1542 - California was discovered by Portuguese navigator Juan Rodriguez Cabrillo upon his arrival at San Diego Bay. September 28, 1978 - Pope John Paul I died after only 33 days in office. He was succeeded by John Paul II. September 28, 1995 - Israeli Prime Minister Yitzhak Rabin and Palestine Liberation Organization leader Yasser Arafat signed an accord at the White House establishing Palestinian self-rule in the West Bank. September 29, 1829 - Britain's "bobbies" made their first public appearance. Greater London's Metropolitan Police force was established by an act of Parliament at the request of Home Secretary, Sir Robert Peel, after whom they were nicknamed. The force later became known as Scotland Yard, the site of their first headquarters. September 30, 1938 - British Prime Minister Neville Chamberlain returned to England declaring there would be "peace in our time," after signing the Munich Pact with Adolf Hitler. The Pact ceded the Czechoslovakian Sudetenland to the Nazis. Chamberlain claimed the agreement meant peace, however, Hitler seized all of Czechoslovakia in March of 1939. September 30, 1949 - The Berlin Airlift concluded after 277,264 flights carrying over 2 million tons of supplies to the people of West Berlin, who were blockaded by the Soviets. September 30, 1955 - Actor James Dean was killed in a car crash in California at age 24. Although he made just three major films, Rebel Without a Cause, East of Eden and Giant, he remains one of the most influential actors. September 30, 1966 - Nazi war criminals Albert Speer and Baldur von Schirach were released from Spandau prison after serving 20 years. The prison, originally built for 600 inmates, was left with only one prisoner, former Deputy Führer Rudolf Hess. Birthday - American writer Truman Capote (1924-1984) was born in New Orleans, Louisiana (as Truman Streckfus Persons). He took the last name of his stepfather, becoming Truman Capote. Best known for Breakfast at Tiffany's and In Cold Blood.